Another Racetrack in New England! REALLY?, Yes! The construction of the Palmer Motorsports Park is a huge project! Yesterday, Tony and I attended the groundbreaking ceremony for the Palmer Motorsports Park located in south-central Massachusetts. Palmer is scheduled to have some activity by the end of 2014. 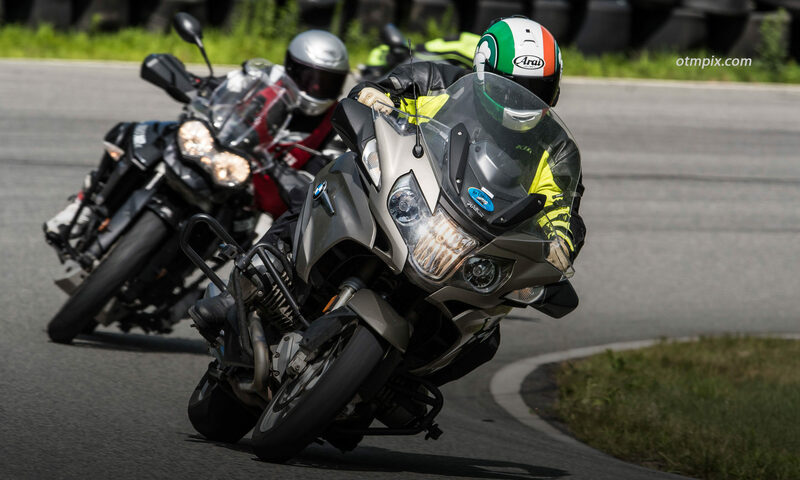 With the opening of the New York Safety Track in central New York, Thompson Speedway Motorsports Park located in northeastern Connecticut, and the Palmer track Northeast motorsports enthusiasts who like to ride or drive on a racetrack have a lot to celebrate. This is a big change for us New Englanders, because until now, we have had only New Hampshire Motor Speedway (Loudon) nearby. Many of us trailered 6 or more hours to New Jersey Motorsports park to get our racetrack fix on. The racetrack drought seems to be over in the Northeast. The track layout is ambitious with 15 corners, 191 feet of elevation change and over is 2 miles long. The track will snake through blasted out hillsides. Track runoff is being discussed to allow for safe motorcycle track day events to be held. Tony and I are working with the track designer/engineer to make sure these concerns are considered. Palmer Motorsports Park track model. 15 turns and 190 feet of elevation change! The park is within a hollow surrounded by tall hills. The lowest point is 830 feet above sea level, the highest is 1020 feet. The town of Palmer is 330 feet above sea level. This track requires a lot of earth moving, including blasting through granite to carve the course through the very rough terrain. See the photos to see what I mean. These guys are the real deal and the town is behind the effort in a big way! Awesome layout. I am eager to see the new schedule for next year! it needs an extra 1M sq-ft parking lot for us slower participants! Just wondering how things are coming along. There has been little information since January 2014 but I do see that construction does seem to be continuing.